The Senate Republicans needed 60 votes, but they only got 59. 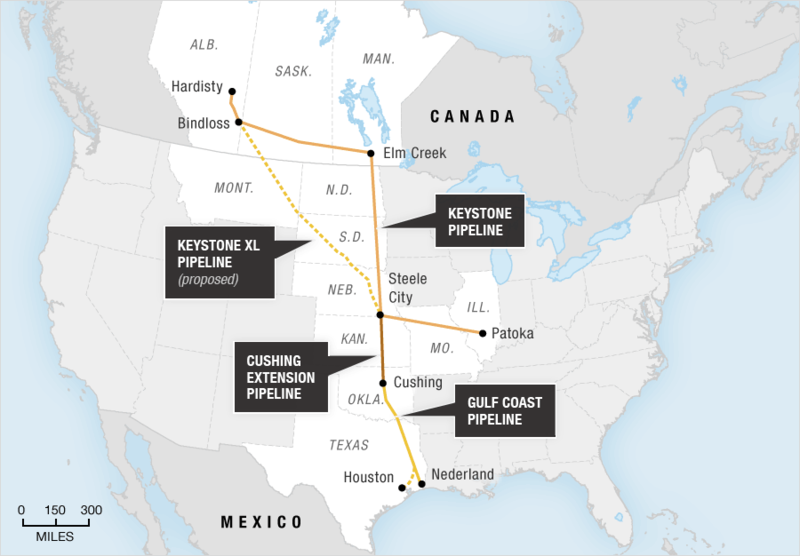 Proposed Keystone pipeline, courtesy of NPR. The proposed Keystone XL pipeline remains a figment of Congress’s imagination for another day, at least until the new members (Republican majority) are sworn in in January. The most interesting part is that the charge for the pipeline was lead by a Democratic senator from Louisiana, Mary Landrieu, who stated that the pipeline is a chance for America to be energy independent. All in all, it was an eventful day in Congress. Four protesters were arrested and charged with “crowding, obstructing, or incommoding,” according to the Hill blog. And the debate continues, until the bill is presented again in January. Also, if you’re into this sort of thing, there’s an anti-KXL petition going around, urging President Obama to reject it. Sign it here.